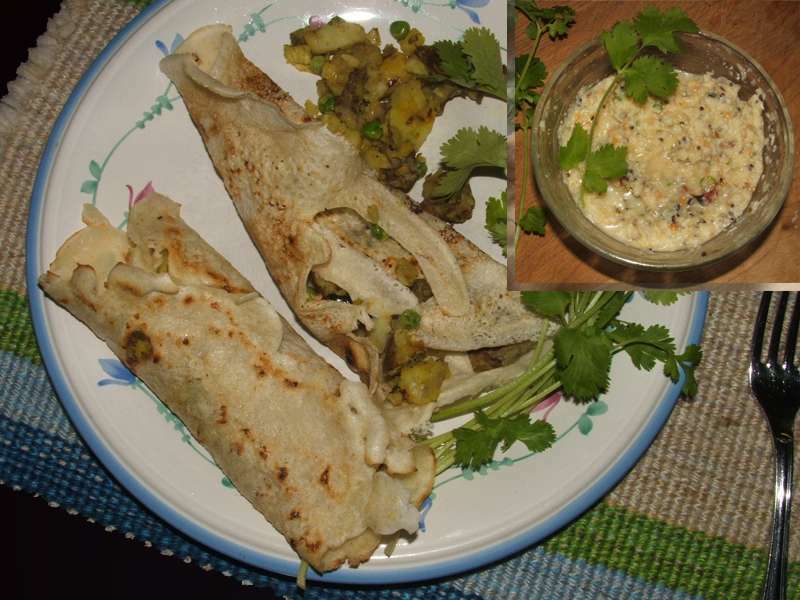 Masala dosa (dosa made with toor dahl) with two kinds of chutney: coconut and pear. And just in case it's not hot enough, we like to garnish with a couple of chillies. 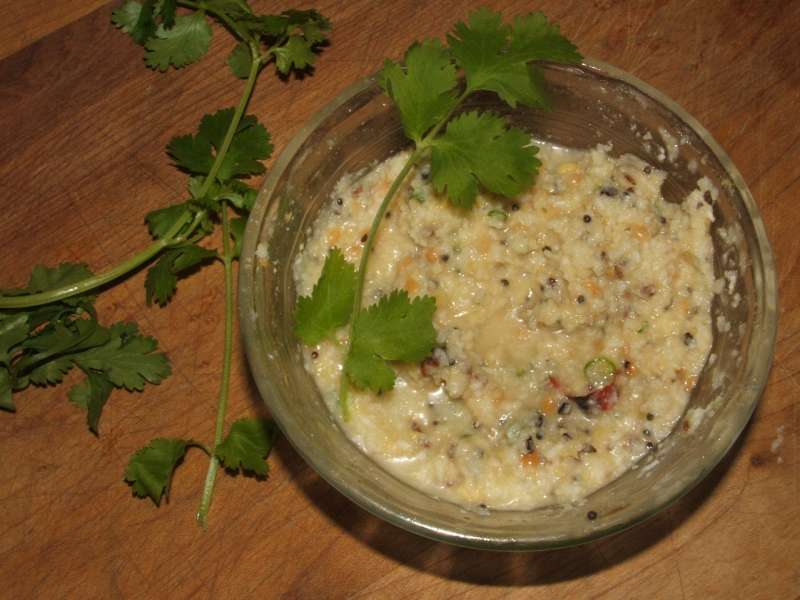 Coconut chutney IS traditional and we think it's essential. 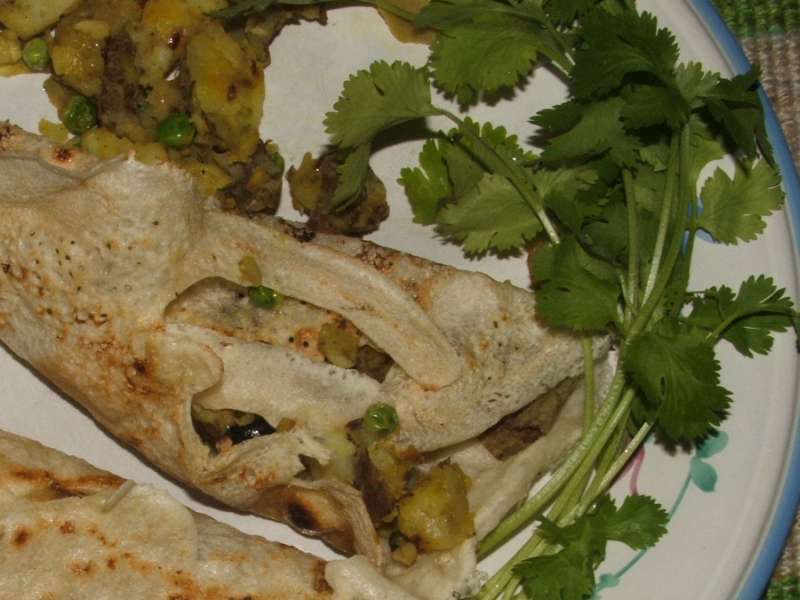 We made ours with dried coconut (unsweetened), green chilies and dahl. 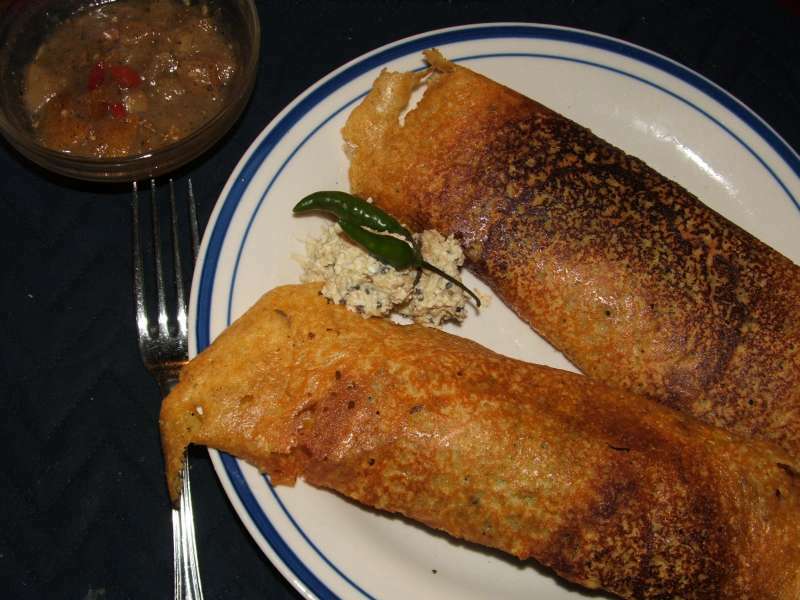 It's also traditional to serve sambar with dosa. 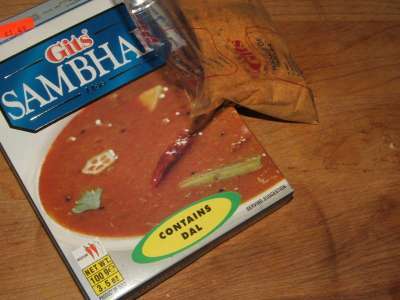 We were feeling lazy so bought packaged sambar and doctored it by adding a little of the potato filling, some green chillies and some homemade tomato sauce. 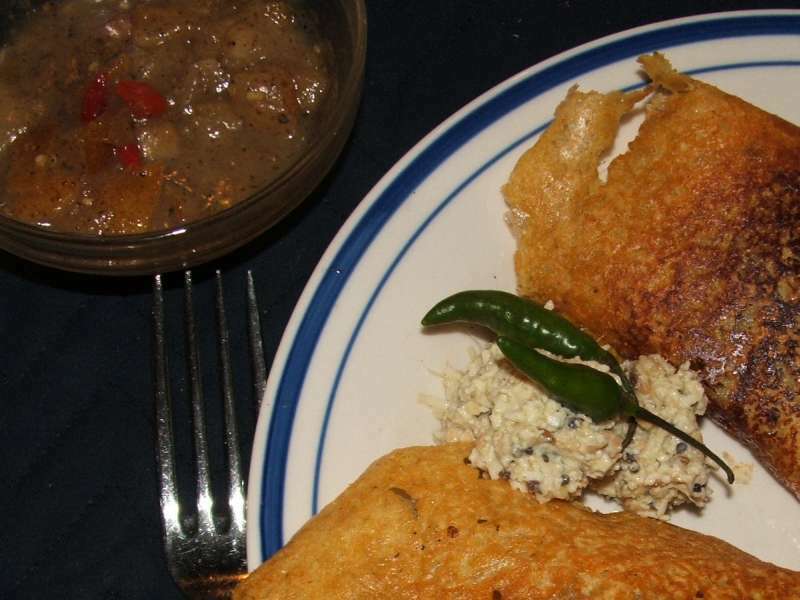 Rava dosa (dosa made with semolina flour - aka sooji, suji, rawa, rava) made from a recipe in "Flatbreads and Flavors" by Jeffrey Alford and Naomi Duguid and served with potato curry and coconut chutney. 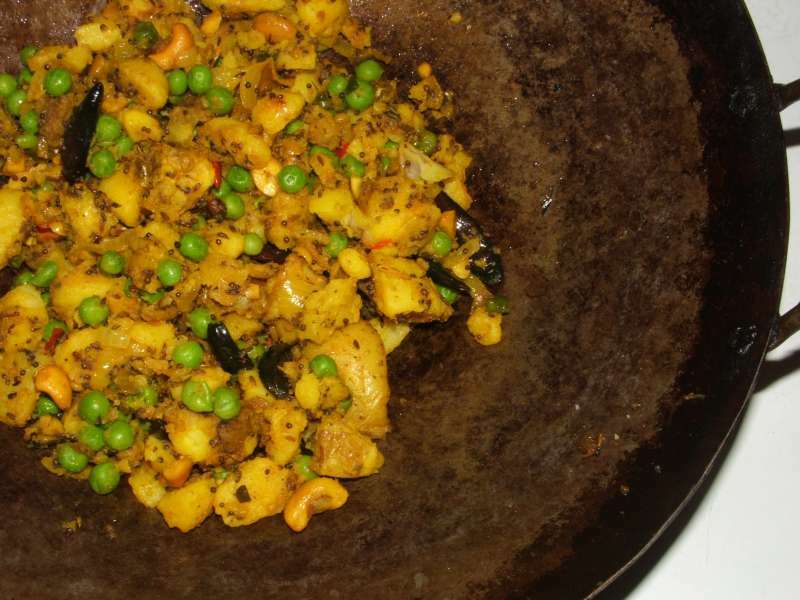 Cook the potato curry and set it aside to stay warm. We didn't have any cashews on hand so left them out. 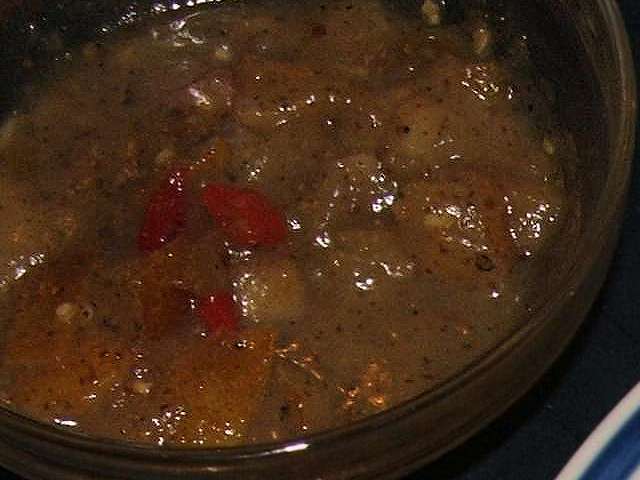 The potato curry was still delicious. 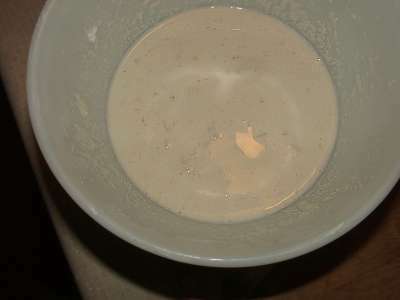 We used our Magic Bullet™ to whir the ginger and onions for the batter to make it very very smooth. 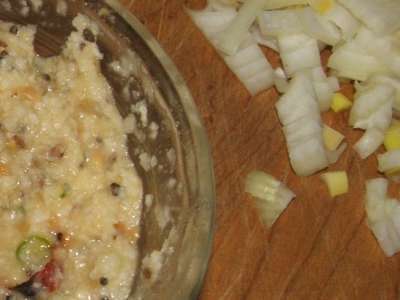 Then following advice from a lovely affable fellow in a YouTube video (youtube.com/watch?v=7FDbSvQ8wGo), we chopped extra onions and ginger for cooking the dosas. 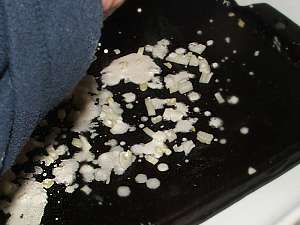 Scatter onions and ginger on the hot griddle, then use your fingers to dribble the thin batter over top. 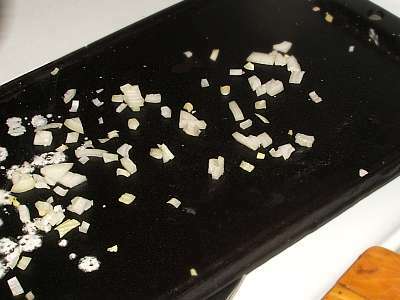 Notice that it's just making a mess. 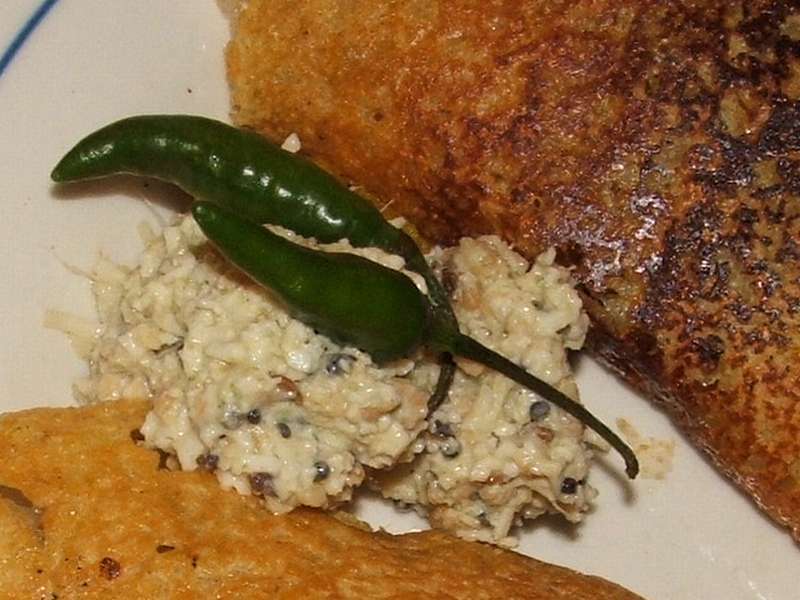 Scrape it away and dribble the batter onto the griddle without any chopped onions. 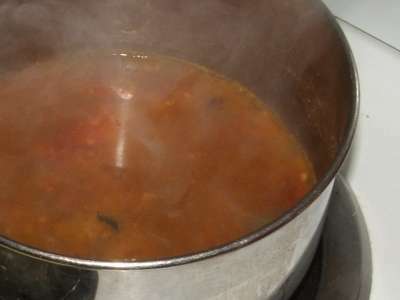 Cook until they are golden brown. 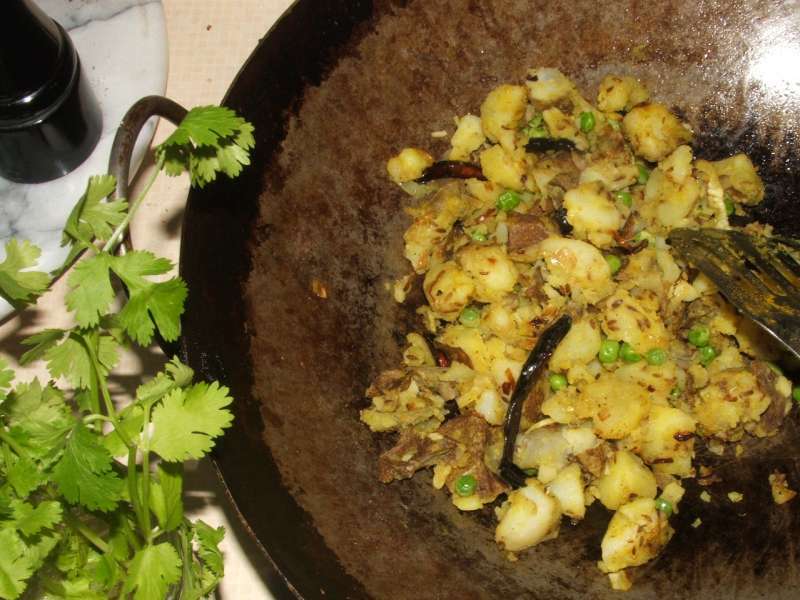 Serve immediately with plenty of coriander leaf. 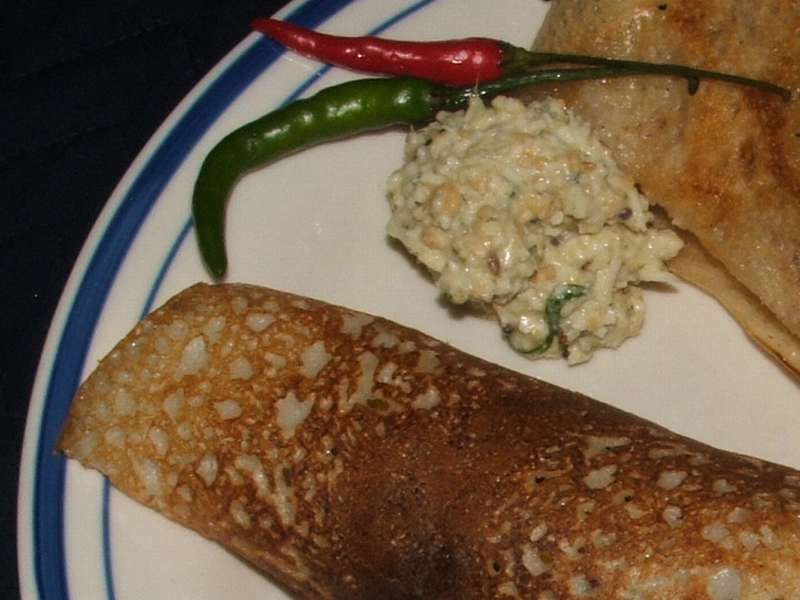 Try not to be disappointed that your rava dosas aren't as crispy as your dahl dosas. 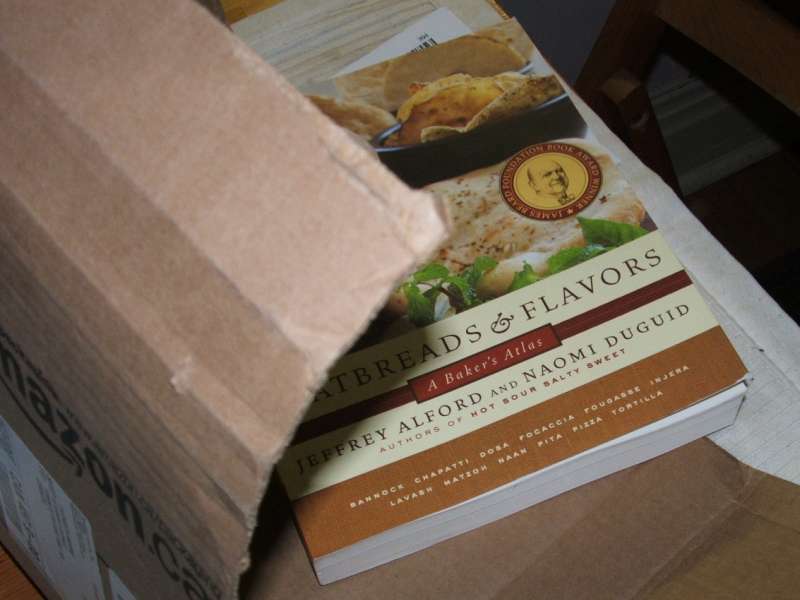 We were using a library copy of "Flatbreads and Flavors" by Naomi Duguid and Jeffrey Alford. We were so amazed by the book that we ordered our own copy. How thrilling it was that it arrived a week or so ago, on the day the library copy was due!